Too lazy to get off the couch for the pizza delivery guy? Too busy to take out the trash? Need some help finding the TV remote? Don't worry, your pet's got you covered! With the help of pet trainer and YouTube sensation Zak George, your fluffy friend will truly live up to their title of "man's best friend." Zak believes he can teach anyone how to teach any pet how to perform any trick. 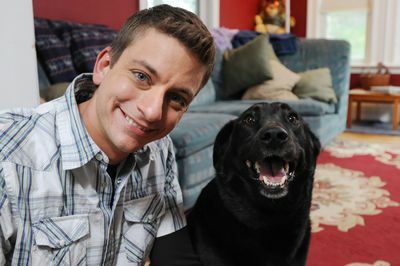 In SUPERFETCH, Zak shows pet parents step-by-step how to teach their animal new and unbelievable stunts and help strengthen the bond between them. Pet and parent have one shot to make it happen and at the end of several weeks, after three visits from Zak and intensive at home training, the duo is put to the test to see if they can pull off the big trick.